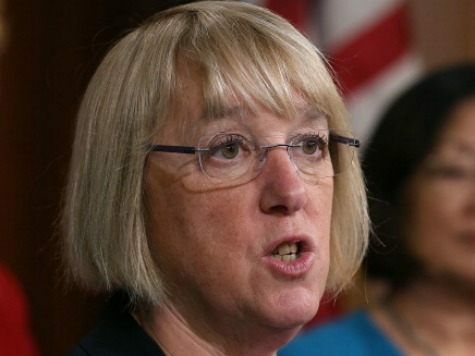 Sen. Patty Murray (D-WA) is crowing about one of her crowning achievements in the federal Every Student Succeeds Act (ESSA) legislation: a newly codified federal preschool program and the taxpayer monies that will fund it. The ranking member of the Senate committee that oversees education, Murray – a former preschool teacher – said she would only agree to work to pass a bill if it expanded access to preschool programs. In her floor speech, Murray said she “fought hard to expand the preschool program,” and that the ESSA – which will replace No Child Left Behind (NCLB) – will include dedicated funding to ensure all children have access to preschool. Though the senator from Washington State cited studies she said show preschool helps young children develop a foundation for learning later on, even the research from the Obama administration’s own HHS regarding the federal Head Start program counters her claim. Lindsey Burke, education policy fellow at the Heritage Foundation, tells Breitbart News the ESSA’s preschool expansion increases federal spending on a program whose benefits are questionable at best. 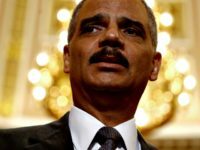 Perhaps a disturbing reminder for opponents of the Common Core reform’s competitive Race to the Top grant program, is that the ESSA’s authorization of the $250 million for the preschool program would make permanent a competitive grant program that awards federal dollars to states that enhance their preschool offerings for low-income students. The grant program is a strong sign the federal government is still coercing states in the area of education. Neal P. McCluskey, director of the Center for Educational Freedom at the Cato Institute, explains further to Breitbart News about the nature of Murray’s new preschool program. Indeed, the preschool program will be codified in law as more research questions the value of institutionalizing children in the pre-K years. A study published in October at Stanford University’s Center for Education Policy Analysis found that a one-year delay in the start of school “dramatically reduces inattention/hyperactivity at age 7,” with this characteristic being strongly and negatively linked to student achievement. This benefit was found to stay with children even until age 11. A study published in 2012 by the Obama administration’s HHS also found that students who participated in the Head Start preschool program actually fared worse on several levels than students who did not. The large-scale study found that children who participated in the Head Start program actually did worse in math and had more problems with social interaction by the third grade than children who were not in the program. While Head Start students averaged better in reading/language arts by third grade, math scores were poorer for children who participated in the program. Parents of Head Start children also reported a significantly lower child promotion rate than parents of children who did not participate in the federal program. The study concluded that even when some positive effects of participation in Head Start are found in preschool age children, those effects disappear once children enter early elementary school. The expansion of the Elementary and Secondary Education Act (ESEA) into the realm of preschool comes as Sen. Lamar Alexander, chairman of the Senate education committee, boasts his new legislation will reduce federal control of education. “Any time the federal government pays for something the danger of federal control is real and present,” agrees McCluskey. Nevertheless, Senate Republicans and Democrats were steeped in mutual admiration for their “bipartisan” accomplishment on Tuesday. They consistently urged support of the measure based on the standard that “no bill is perfect,” and emphasized that the elimination of the NCLB’s Adequate Yearly Progress (AYP) mandate will free up teachers even though annual testing mandates will continue. Sen. Lisa Murkowski said ESSA is “worthy of celebration.” In her floor speech she said ESSA will ensure there is no longer a “one size fits all” approach to education in America’s classrooms. ESSA “ends the national school board by putting more control in the hands of our state and local hands,” Murkowski said.